In celebration of Hot Chicken Takeover’s fourth birthday, they’ll be offering Drumstick Meal deals for just $5 on Friday, April 6. The meal, which includes four drumsticks at whatever heat level you want, a side of Ma’s Mac and Ma’s Slaw, is usually $10.50. 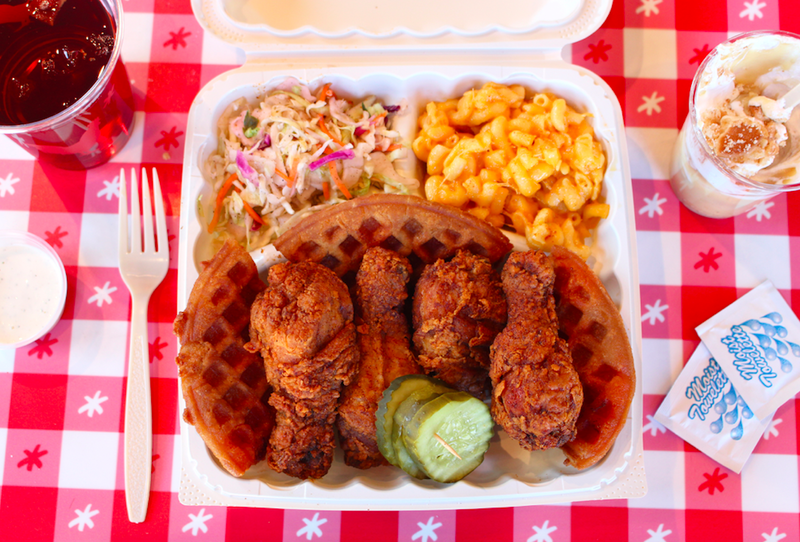 And, HCT will be offering waffles to go along with your chicken which are typically only available on Sundays. Hot Chicken Takeover debuted on April 6, 2014 as a weekend-only pop-up concept in Olde Towne East and was only open on the weekends. In these early days, HCT intentionally ran out of chicken to minimize food waste. The $5 Drumstick Meal is only available for orders placed in the restaurant; online and call-ahead orders do not qualify for the discount. The deal is limited to 4 meals per person.